Coming January 19th is the exciting first novel in a brand new series (On The Run) from bestselling author Lisa Desrochers. 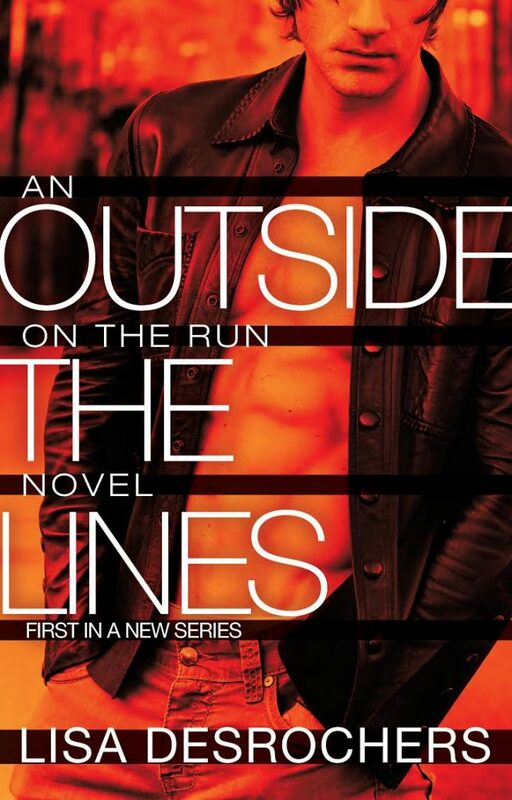 Outside the Lines is an bold, edgy, suspenseful contemporary romance, chronicling the story or Roberto Delgado—the son of a Chicago crime lord—as he tries to protect his family and start anew. But danger is never too far, and before too long, there’s more to lose than what he planned. I’m thrilled to exclusively share the striking cover of Outside the Lines!